Our normal Monday Night stream took a magical turn this week as the crew was finally reunited after what seemed like forever. With our wands held high we headed towards a game that would surely re-establish the bonds of brotherhood in Magicka 2. 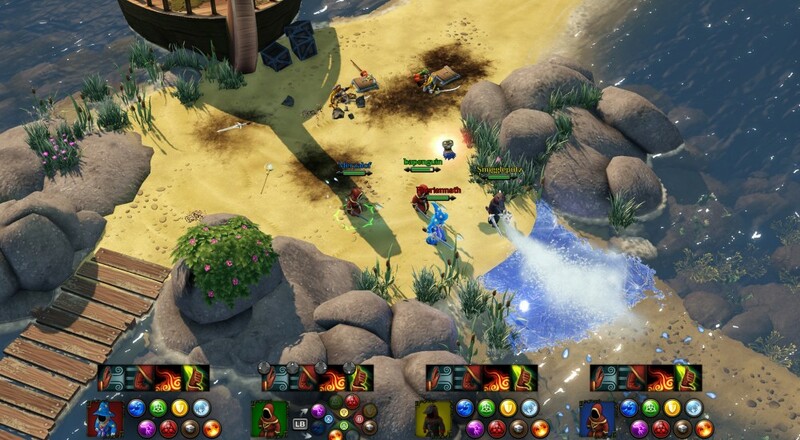 The sequel to the hit indie game that sold over 2 million copies on PC, Magicka 2 looks to make it a more approachable title than the first. First off is gamepad support, which works with the face buttons and a bumper modifier to give you the eight elements of spell casting. There's also quick access to four spells, so you don't have to memorize the button combinations of everyone of your favorites. From what we saw the game engine has been improved and the networking (a big complaint we had in the first one) has also been greatly smoothed out. Take a gander at the hijinx that ensue as we check out some of the main story as well as the co-op arena mode.